Home > Planning & Finance > Should I Rely on Buy-to-let Property in Retirement? For many years buy-to-let property has been seen as an alternative to a pension. A recent shortfall in the state pension and the dwindling efficiency of company pensions means people are starting to look to property to fund their retirement. Using buy-to-let can be risky though, you have to make sure that you have done your sums and do not fall into the amateur landlord trap, or your property could end up costing you more than it is worth. These few questions should help you decide whether investing in buy-to-let is a good idea for you. 1)	Do You Already Own A Buy-to-let property? 2)	What Kind Of Property Do You Have/Wanting To Buy? 3)	How Much Money Have You Invested/Plan to Invest? 4)	Do You Manage/Plan to Manage The Property Yourself? 5)	Have You Made A Profit In the Years That You Have Owned It? 6)	What Mortgage Do You Plan To Get/What Do You Already Have? 7)	Is There Demand In The Area? 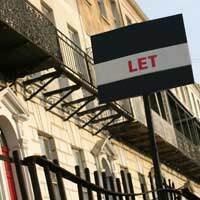 If you have not already bought your buy-to-let property, you should perhaps think twice. The only way to see a return on your investment is to be in it for the long haul. If you plan to, or have invested less than £125,000 you will need to wait for property prices to go up before you can sell and make a profit, as one bedroom flats do not generally fluctuate in price. The less capital you inject into the property the less of a profit you will see. The best thing you could do is rent out the property and sit on the investment. This means you won’t see immediate returns, but it could offer you a good return until the property goes up in value. You will need to research the area well and make sure there is going to be good demand for your type of property. It sounds like you have a good plan but it is touch and go whether you have a good investment. If you already own a property and it is your intention to sell when you reach retirement you need to make sure your property is in a good area and you are seeing a good return on your investment. You should calculate how long it is going to take you to pay back the mortgage and when you will need to sell to fund your retirement. Property prices can go up and down year-on-year, but the longer you keep hold of the property the bigger return you will see. It sounds like you have your head screwed on when it comes to your buy-to-let investment. If you are already seeing a good return on the property it bodes well for future profit. Although it is risky to rely on property for your retirement, if you can manage to pay off your mortgage before you reach retirement and then sell the property or keep it going as a business venture then it should provide good returns. Using property to fund your retirement does have its benefits. Unlike a private pension plan with property you can see what you are getting upfront. The trouble with buy-to-let properties is that you may have to wait a while before you see any return on your investment. So if you haven’t already got a foot on the buy-to-let ladder and are an established landlord, it is probably too late to start trying if your retirement is drawing near. @Rodders. There are some unscupulouse lettings agents but there are also many who are providing a really efficient service for many landlords. As a landlord you should always enter the market with caution and ensure you keep a close watch on letting agent activity until you become familiar & happy with the agent.